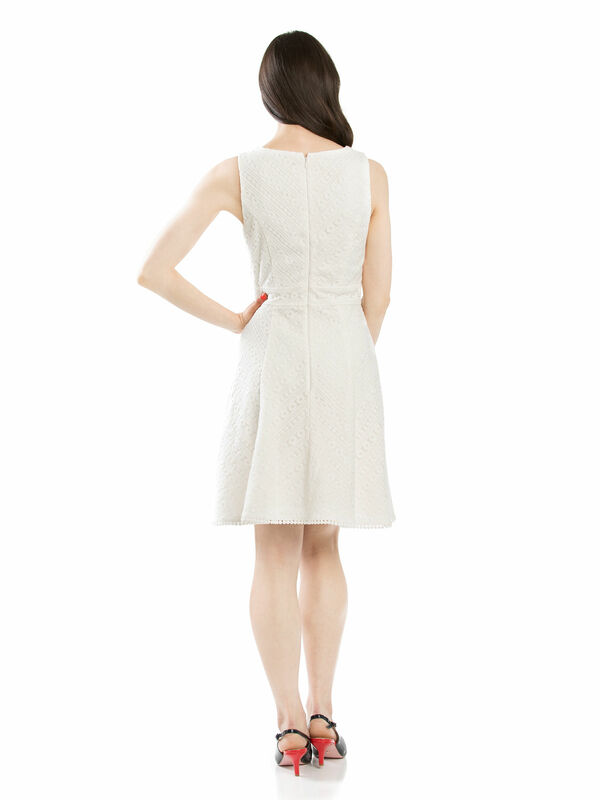 Lotus Lace Dress https://www.review-australia.com/au/lotus-lace-dress-cream/RE19DR248.RECRM001.html This broderie lace beauty will be a lovely addition to your summer collection. Sweet and simple, the sleeveless dress has a fit and flare silhouette and is crafted with a modern broderie lace overlay. The dress is fitted with a band at the waist and features a v-neckline and embroidered trim hem. Pair yours with espadrillas and a straw basket for the perfect day of sunshine. Worn with Cherry Pop Shoes. This broderie lace beauty will be a lovely addition to your summer collection. Sweet and simple, the sleeveless dress has a fit and flare silhouette and is crafted with a modern broderie lace overlay. The dress is fitted with a band at the waist and features a v-neckline and embroidered trim hem. Pair yours with espadrillas and a straw basket for the perfect day of sunshine. Lotus Lace Dress is rated 5.0 out of 5 by 13. Rated 5 out of 5 by Mieka from Absolutely Beautiful What a beautiful dress. Photo's don't give it justice. Seriously fell in love with this dress the first time I put it on. It's got some weight/thinkness to it. So it will keep you a bit warmer in cooler weather. For any bigger breasted ladies, you can still wear a bra to keep the girls in place. I brought the printemps sash belt to wear with it,to give it some bling. Rated 5 out of 5 by Lisa Jane from Great for casual summer events Only originally tried on for a white party and expected to buy a skirt to go with the Romance Awaits top, but fell in love with Lotus Lace instead. The size 10 fits my size 11 torso perfectly without any underarm fat or being too low cut. Planning to wear this through summer events with coloured belts and heels, or black belt and heels for a more glam look. Rated 5 out of 5 by Banxy from Love the Style! I bought this a few weeks ago and love it, the cut sits perfectly, the v neckline compliments my larger bust. It’s a great length too. Love the detail on the hem and the texture of the fabric. so comfortable to wear. Being classic white, I can wear it to work and to special functions just by changing my accessories.